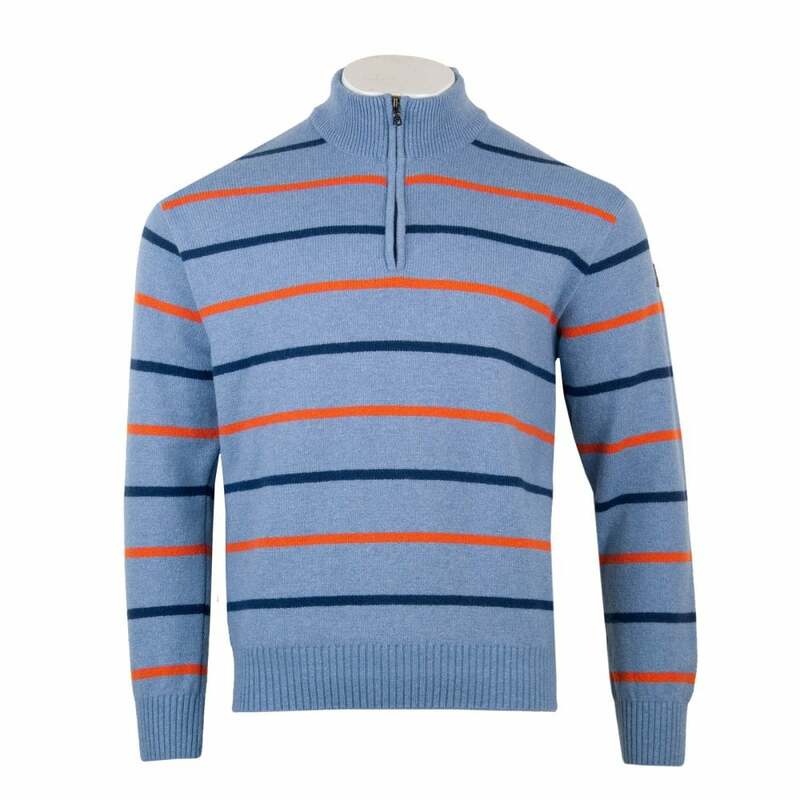 This Paul & Shark Half Zip Stripe Knit Sweater is a wool and nylon blend and is blue with orange and navy stripes. It has long sleeves and a funnel neck with a zip fastening. The neck, cuffs and hem are ribbed. Paul & Shark branding appears on a fabric patch on the left sleeve.